Soon after my last post, in which I decided to take a short break from cross stitch, I received a surprise parcel in the post. 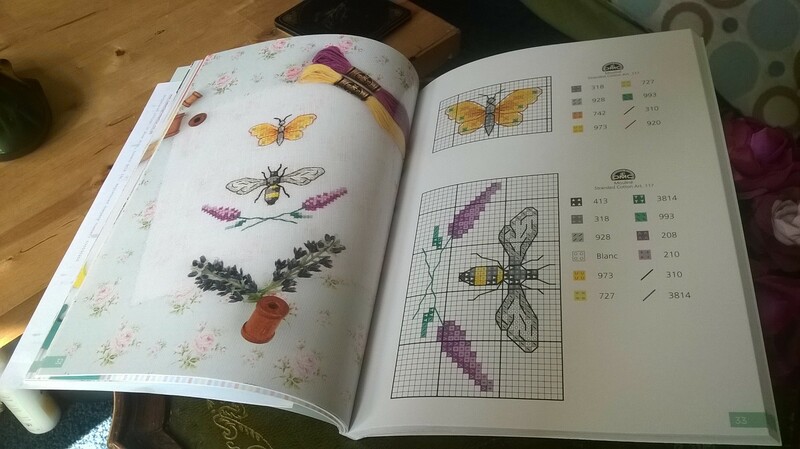 It seems that I am on a lucky streak, as I had won yet another subscriber competition from the World of Cross Stitch magazine! 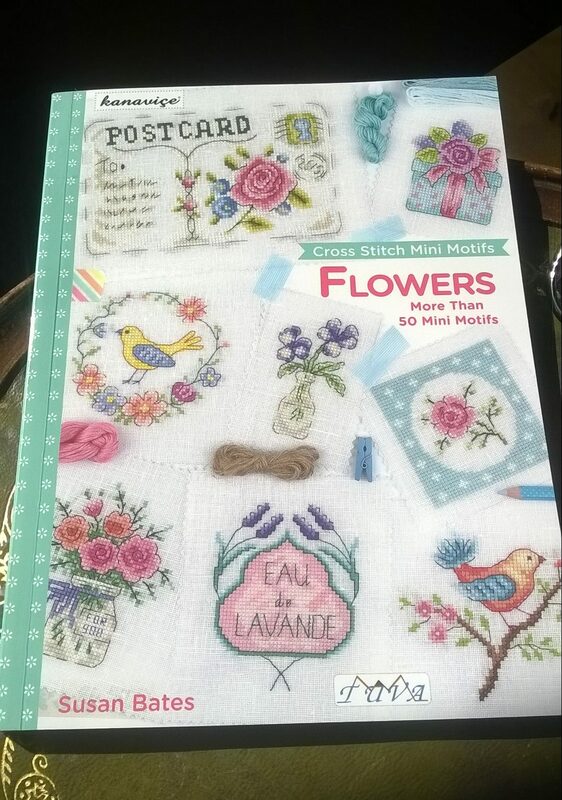 The prize was this absolutely wonderful ‘Flowers’ chartbook by Susan Bates. It’s one of a series, and I would also like to get the Vintage motifs one to go with this. There are a ton of designs in here I want to stitch, and I really feel inspired to start sewing again. I did go out and get some quilling materials to give that a go, and also some more card making supplies and some model kit pieces and…well, to be honest, I spent a lot of money but didn’t actually do much crafting. Shame on me! The designs are all bright and modern, and super clear to read with beautiful inspirational photos showing the finished pictures. The pages are thick and glossy and the whole book has a really high quality feel to it. Here’s the design I’ve chosen to stitch first – I want to sew this onto a little runner to go under my potted herbs in the kitchen, by the window.